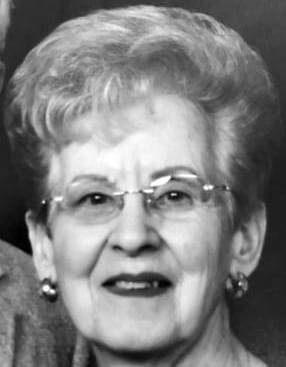 Louise Masters, 81, formerly of Waldron, Mich., died Sunday, Sept. 9, 2018, at Fairlawn Haven Nursing Home in Archbold. She was born Feb. 24, 1937, in Hillsdale, Mich., to the late Floyd M. and Gladys (Henry) Morrison. She married Rheo O. Masters on Nov. 3, 1956, in Angola, Ind., and he preceded her in death. Louise graduated from Waldron High School in 1955. She sold Avon products for 15 years, and in her spare time enjoyed playing bingo and gambling. She was a member of Waldron Church of Christ and the Pythian Sisters. Louise is survived by a daughter, Renee (Keith) McMahon of Akron; a son, Phil (Karen) Masters, of West Unity; a brother, Lewis Morrison of Jonesville; sisters, Dorothy Slocum of Reading, Mich., and Joan (Ivan) Miller of Fayette; six grandchildren, and nine great-grandchildren. She was also preceded in death by a sister, Marjorie Double; and three brothers, Paul Morrison, Mason Morrison, and Robert Morrison. Memorial contributions in honor of Louise can be made to a charity of the donor’s choice. Friends can share memories and words of comfort with the family online at www.eaglefuneralhomes.com. Be the first to comment on "Louise Masters (1937-2018)"